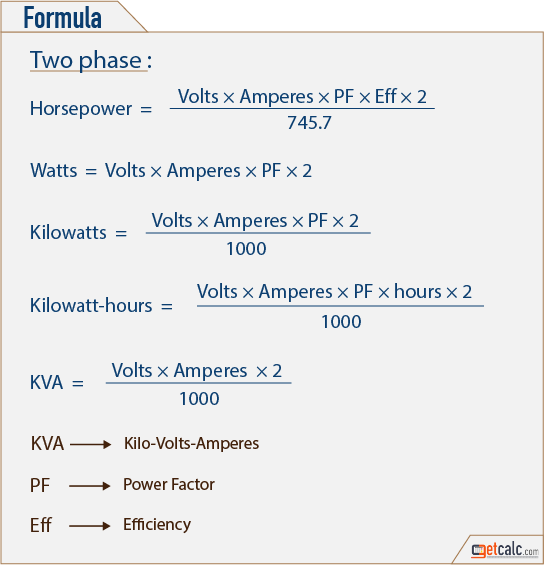 getcalc.com's AC Power Calculator is an online electrical engineering tool to calculate the power consumed by the load connected in single phase, three phase or two phase four wired transmission lines or circuits. AC Power is an alternating current electrical energy consumed by the load connected in an electrical circuit, generally measured in horsepower, watts, kilo-watts or kilo-watts-hour. 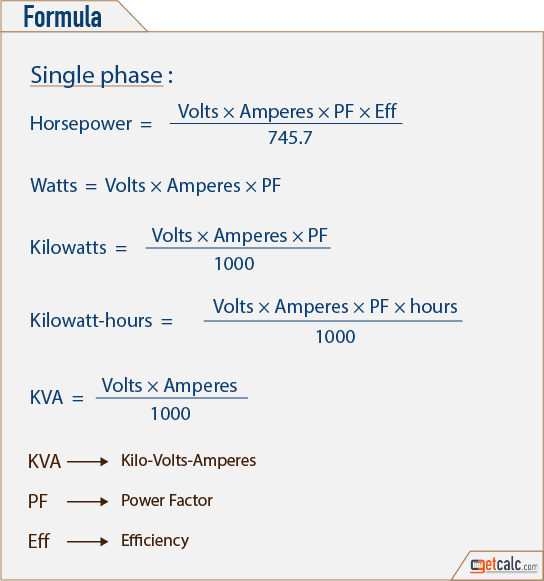 Whereas, single phase electric power is the electrical energy consumed by the load from phase & neutral. Three phase electric power is also the measure of electrical energy consumed by the load from three diffrent phases Red (R), Yellow (Y) & Blue (B), each having different phase angles. 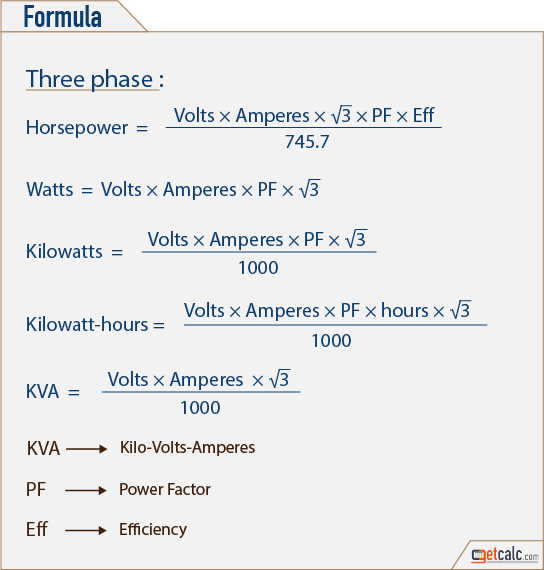 Two phase four wires electric power is the electrical energy consumed by the load from two phases having difference of 1 quarter of a cycle between them.